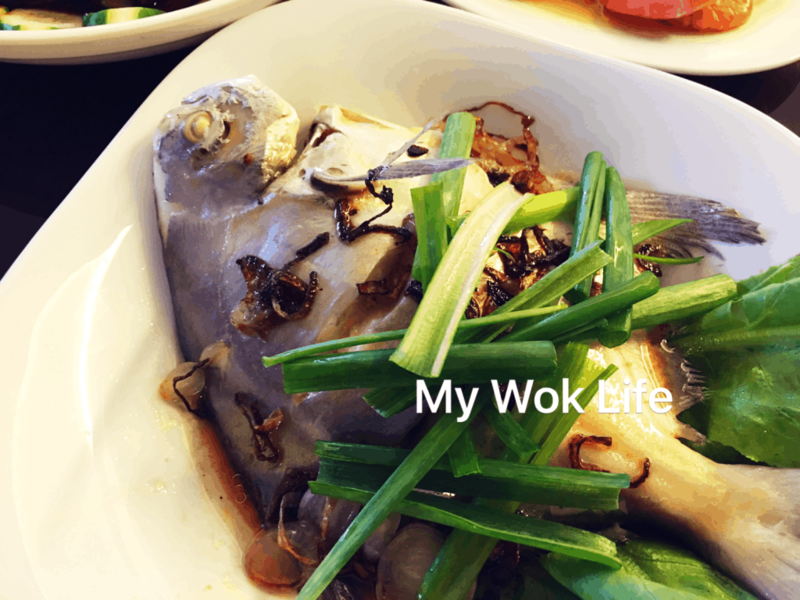 Why steamed fish for festival? Sure thing, this is a festive dish. That must be the reason why this was seen so often in the Chinese festive occasions. Of course, you wouldn’t omit those auspicious garnishing and sides in the plate, too.. Let me explain. (1) Clean pomfret and pat dry. Cut 2 slits on each side of the fish. Place ginger underneath Pomfret on a large steaming dish. Steam for 15 minutes. (2) Discard ginger slices and excessive steamed water in the serving dish. 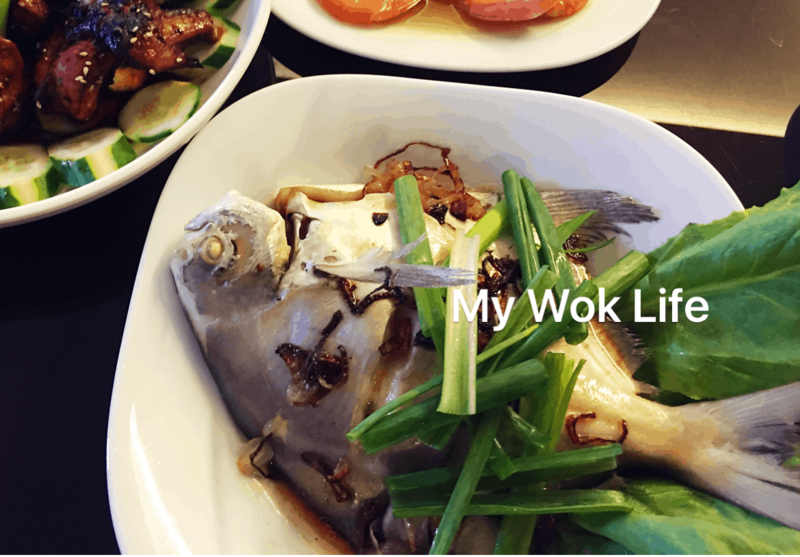 Transfer steamed fish over to a large serving dish lined with Chinese lettuce leafs. Set aside. (3) Heat oil in wok over low fire. Brown shallot. Heat off. Add sugar into light soy sauce in a bowl first. Then, drizzle over heated oil to create sizzling effect. Pour sizzling sauce including the browned shallot over steamed Pomfret immediately. Garnish and serve hot. Pomfret for steaming must be fresh enough to avoid any smell of fishiness as well as keeping tenderness of the fish meat after steamed. Really fresh Pomfret doesn’t require any seasoning prior to steaming. Tips: Be careful of the hot sizzle when pouring in soy sauce to the heated oil in wok. Don’t get scalded. time due to this fantastic read!! I definitely loved every part of it and I have you saved to fav to check out new things on your website. You are welcome! Enjoy and do try out to cooking them!